News and Style tips from Salon Toujours, a full service salon located in Ridgewood New Jersey specializing in hair design, style, coloring, texturizing, extensions, cut and special occasion hair and makeup packages. 65% of women have natural curls and waves and do not know how to take care of them. Women fight them, hide them, tie them back, and blow them out. Here at Salon Toujours we want you to embrace your curls, flaunt them and the beautiful attitude that comes along with them! Learn how here. 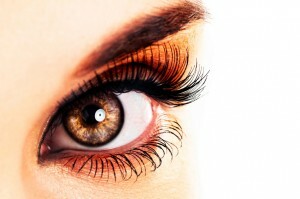 Here is a way to get the fake eyelash look without the hassle. We also explain how to avoid clumpy mascara. Salon Toujours in Ridgewood talks the facts about how to maintain your hair color and the right products to choose. Salon Toujours is now offering color safe protecting shampoo & conditioner & styling products from dōTERRA. dōTERRA Salon Essential hair care products are inspired by the concept that extremely pure botanical extracts combined with the most advanced technological ingredients will provide unparalleled hair care benefits that optimize beautiful hair and a healthy scalp. At Salon Toujours in Ridgewood our spray tanning is done by our own certified professional technician Jacki who has experience and is wonderful to work with! Split Ends…Do I Need to Get it Cut? 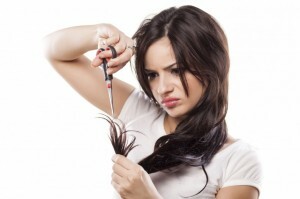 If you want to grow your hair longer but the ends are really damaged and split. Do you have to get it cut?